There are more phones running Google's Android mobile operating system than any other mobile operating system. In fact, as many as 80% of the world's smartphones are running Android. But the Android ecosystem is messy. Because manufacturers are free to modify Android as they see fit, we get a lot of devices with a wide array of bloated features and unnecessary add-ons to the user interface. Many of those phones don't get the latest software updates from Google either. Google, which has been on a roll lately making some great hardware, likes to release its own take on Android once a year with a new phone in its Nexus line of devices. This year's phone is called the Nexus 5, which like last year's Nexus 4 was developed in collaboration with LG. 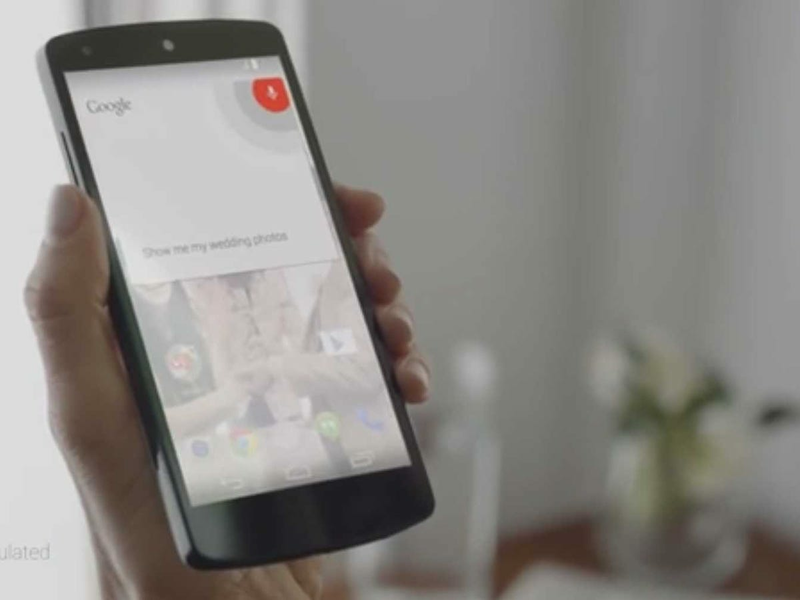 The Nexus 5 has a nearly 5-inch screen and runs the newest version of Android called KitKat. (Yes, like the candy bar.) It only costs $349 for the 16 GB unlocked model, which is a tremendous deal. To put that in perspective, Apple's unlocked 16 GB iPhone 5S costs about $300 more than the Nexus 5. The Nexus 5 will work on T-Mobile, AT&T, Sprint, and a few other smaller carriers if you pop in your SIM card. Verizon customers like me are out of luck. The great thing about Google's Nexus phones is you're guaranteed to always get the best Android has to offer. While other manufacturers like Samsung and HTC often take months to push out new Android features, Google's own Nexus phones get all those goodies as soon as they're available. It's simply the best Android experience you can get. And the Nexus 5 is the best phone Google has released yet. The Nexus 5 isn't as beautiful as rivals like the HTC One or iPhone 5S. In fact, it's rather unassuming looking, a plain rectangle with rounded corners covered in comfortable, rubbery black or white plastic. You won't turn heads or make any bold statements carrying around the Nexus 5. But it's the guts that matter. If you're a specs geek, the Nexus 5 is a dream with its 2.3 GHz quad-core processor, 2 GB of RAM, and one of the best displays I've ever used on a smartphone. Like its flagship G2 smartphone, LG put next to no bezel around the Nexus 5's display, so it feels as if your apps and content are floating in your hand. And even though the screen is almost a full inch larger than the one on the iPhone 5S, the body is small and still manageable enough for one-handed use. My only complaint with the Nexus 5 hardware, despite its ho-hum design, is the camera. Photo quality doesn't even come close to what you get with the iPhone 5S, Nokia Lumia 1020, and most other major smartphones. Part of this is due to the slow camera software on the Nexus 5. That will hopefully get fixed with a future update. But photo quality was still pretty poor, especially when snapping images indoors. Those images often came out grainy and dark. I'm not saying the photo quality is a deal breaker — the photos quality is just good enough to get you by — but you shouldn't make the Nexus 5 your first choice if taking beautiful shots with your phone is super important to you. Google's new KitKat version of Android is nearly identical to last year's release, which was called Jelly Bean. Cosmetically, not much has changed save for a few minor design tweaks to apps. Google also replaced the regular texting app with Hangouts, an app that lets you send text messages plus chat with friends over Google (or "Gchat" as many people call it). Google Now, Google's voice-powered assistant that's similar to Apple's Siri, has a bigger presence too. You now access it by swiping to the screen left of your main screen, which is much more handy than swiping up from the bottom of the screen like you used to have to do. Google Now's voice control is a bit smarter too. You can activate it just by saying the key phrase "OK, Google," which kicks you into the search feature of the app. From there you can ask Google for anything from sports scores to directions to your next meeting. The voice activation works nearly perfectly, but I found it largely pointless. It arguably takes more time to say "OK, Google" than it does to just tap the omnipresent Google search bar at the top of your screen. Other than that, most of the other improvements in KitKat are under the hood. The OS is designed to work on devices that have weaker hardware specs, which will help Google gain even more smartphone market share in developing countries where consumers prefer to buy dirt-cheap devices. Google's Nexus phones have always had the best Android experience, but they never seem to hit the mainstream the way the iPhone, Samsung's Galaxy phones, and Nokia's Lumia Windows Phones do. Part of that could be because of lack of carrier partnerships. (Again, this is a big bummer for Verizon customers who want the best Android experience they can get.) Part of that could be because Google only sees its Nexus phones as demonstrations of what Android is truly capable of, if only other manufacturers like Samsung would slow down and listen. Either way, the Nexus 5 is the perfect device if you want to make sure you always have the best Google has to offer with Android. It might not be much to look at, but it's the best device you can own if you care about the experience and Google ecosystem above anything else.